While there are some people who are sad to say goodbye to summer, snowmobilers in Ontario are getting revved up for the 2016-17 snowmobiling season. SNOW COUNTRY OFSC DISTRICT 6 is working hard to ensure trails are prepped for when the snow comes and by all predictions thus far, it looks like this winter will be bringing lots of cold and snow, exactly what snowmobilers everywhere have been asking for. 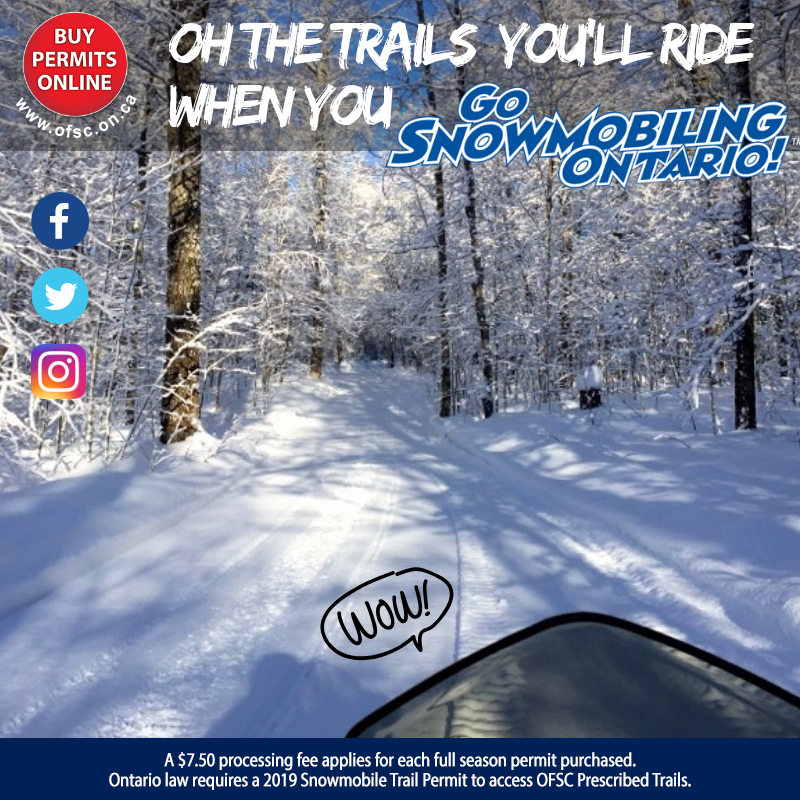 For the fourth year in a row, snowmobilers can take advantage of 30% savings on their 2017 Ontario Seasonal Snowmobile Permit. For the low price of $180 they can enjoy a winter full of adventure on any of the available 30,000km of trail connecting communities throughout the province. This early bird rate is only available for a limited time and prices go up at midnight EST on November 1, 2016.